"…like the Polyscience Immersion Circulator, which enables us to cook with accuracy and precision never seen before"
There are no new fish coming out of the ocean and all the food groups remain the same. So to provide innovative tastes and culinary experiences, chefs search for new techniques and technologies, which is why I work with SousVideTools.com, like the Polyscience Immersion Circulator, which enables us to cook with accuracy and precision never seen before. 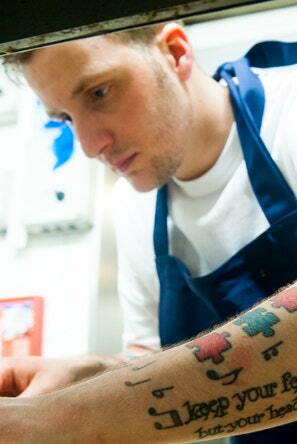 Rising star Aiden Byrne was head chef at The Grill at The London Dorchester from late 2006. He was previously Tom Aiken's head chef at his Chelsea restaurant and has worked with several other high-profile chefs such as Paul Rankin and David Adlard. Aiden has made numerous TV appearances, including Masterchef. 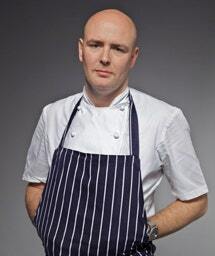 In addition to Tom Aiken's eponymous restaurant, Aiden has worked at Pied à Terre in London, Adlard's in Norwich, Peacock Alley and the Commons in Dublin, and Danesfield House in Buckinghamshire. At the age of 22, Aiden Byrne became the youngest chef ever to win a Michelin Star Aiden's main priority is keep The Church Green food standards the highest level possible. The food is British, but "simpler" than the Dorchester fare. 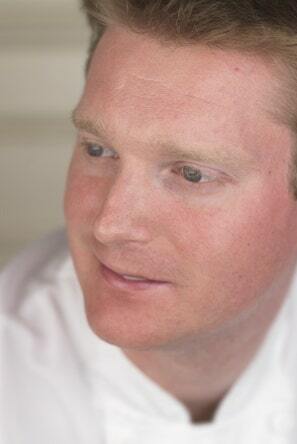 He intends to keep running the restaurants and aims to keep the focus on quality locally-sourced, seasonal produce. "…all in all I would recommend the equipment to any aspiring amateur cook or professional chef…"
I have been using equipment supplied by SousVideTools.com for over 12 months now and for me the equipment speaks for itself. In particular I found that the range offered by SousVideTools.com is second to none. It gave me the opportunity to buy the most important pieces of equipment in my kitchen from one supplier. I have found in particular that the Foodtek Platinum Thermal Circulator produces a fantastic way of delivering real precision cookery in any part of the kitchen. All in all I would recommend the equipment to any aspiring amateur cook or professional chef. Chris Holland — head chef of The Alderley Restaurant at the prestigious Alderley Edge Hotel near Macclesfield — began his love affair with Cheshire when he left his native Lancashire for a commis chef apprenticeship at Wilmslow’s Stanneylands Hotel. But it was at Mere Country Club, near Knutsford, that he began to learn the precision of fine dining that has been a trademark since moving to The Alderley Restaurant in 1996 and becoming head chef seven years ago. Chris prides himself on understanding classic British cuisine with adventurous ‘high edge’ experiments in new combinations of flavour – from the natural to the modern influences of molecular gastronomy. His food philosophy centres on a strong support for local producers, sourcing local produce from in and around Cheshire, wherever possible, creating dishes with the freshest, cleanest natural flavours and taking an experimental “journey through textures and temperatures”. The result is a consistently high standard of classic British cuisine with signature twists that create totally new menus. It earned a coveted three AA rosette rating for the Alderley Restaurant … but that is only the start of an ambitious and ground breaking career. "…I have used the water bath for periods of up to 72 hours of continuous cooking and the results are always perfectly the same…"
I have been using the Vac Star Mini Vac Vacuum Packing Machine and Vac-Star 9 litre water bath from SousVideTools.com for a good period of time now. The Vacuum Packer is a very manageable size, and it seals extremely fast as well as withstanding extreme water heat. The water bath is very straight forward to use, again being of a manageable size, but most importantly consistent in its cooking temperature. I have used the water bath for periods of up to 72 hours of continuous cooking and the results are always perfectly the same. I am using both pieces of equipment in my home kitchen, whilst preparing for private dinner parties and events. As the equipment is very manageable in size I am able to easily transport them to me events. I will be working closely with SousVideTools.com going forward and I plan to use their equipment in the London restaurant that I am planning to open next year. Ben’s training started at the 1* 28+ Restaurant in Gothenburg, Sweden then followed with time spent at 3 Michelin starred restaurants Per Se in New York and Royal Hospital Road (London). This lead onto holding senior positions at Gary Rhodes W1 @ Cumberland Hotel (London) and L'autre pied (London)and being an integral part of the team awarded a Michelin Star in each of the restaurants in 2008/2009 respectively. Ben then took a break from London, before his daughter was born and spent 3 months at Shannon Bennett’s critically acclaimed restaurant Vue de monde in Melbourne, (Australia). This followed with Ben opening up Roganic restaurant in Marylebone, (London) last year to widespread critical acclaim winning several awards in the first 6 months. Ben is currently working on many small projects, fun events and residencies while planning with investors to open a cutting edge dining concept in London. Ben has also undertaken long stages throughout time off periods at the 3* The Fat Duck, 2* Le Manoir, 2* Capital hotel, London, 2* Bagatelle in Oslo, Norway & 1* L’enclume in the lake district. "…sousvidetools.com have been highly professional and are always on hand if any advice is needed. I would throughly recommend this company and their equipment…"
At Glenapp Castle we have limited space and using 'The Vac Star Circulator' we find we can produce high quality and consistent dishes. The unit is extremely good value for money with fantastic accuracy. Units can be integrated into any style of kitchen set-up making it perfect for my need for flexibility in the kitchen. Sousvidetools.com have been highly professional and are always on hand if any advice is needed. I would throughly recommend this company and their equipment. Adam Stokes joined the kitchen brigade at the Michelin Starred Hambleton Hall Relais & Châteaux, where he spent seven years working his way up to Sous Chef. 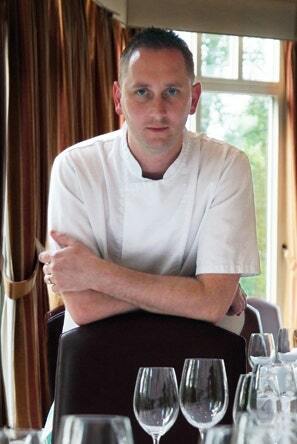 In February 2008 Adam became Head Chef at Glenapp Castle, Relais & Châteaux. Five seasons on Adam and his loyal kitchen brigade are forging the way forward. His stylish food is a sophisticated blend of traditional combinations and modern inventive twists. Each of Adam’s dishes alert all five senses of flavour, concentrating on tastes, textures and sensations. Not to baffle or confuse diners but to excite them. The finest Scottish ingredients along with the latest cooking techniques are used appropriately and sympathetically to great outctanding dishes. In 2011 Adam was awarded 4 AA Rosettes, a Michelin Star and the CIS Excellence Restaurant of the Year.